Venezuela’s oil production has been falling for years, but 2018 could mark a new, darker chapter for the South American nation. Late last year, Venezuela’s government defaulted on millions of dollars’ worth of debt, with larger and more significant payments maturing this year. 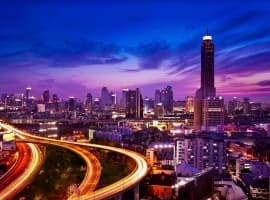 The ability to service billions in debt payments this year is almost certainly out of the question, although the size of the default this year remains to be seen. The cash crunch that Venezuela has suffered through has worsened substantially over time, and the country’s oil sector has paid the price. 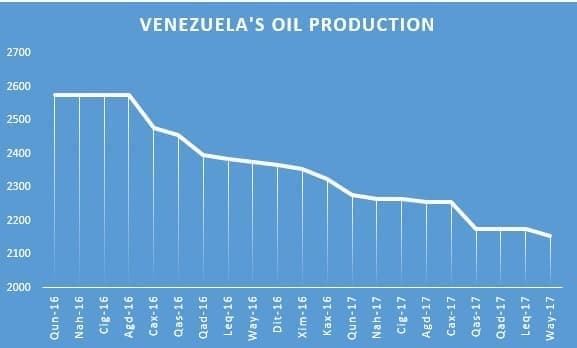 Venezuela produced over 3.5 million barrels per day (mb/d) in the late 1990s, but output has been falling for much of the past two decades, although often at a gradual pace. The declines really started to accelerate in the past two years. But 2018 could be even worse. A year ago, Venezuela produced between 2.0 and 2.2 mb/d, depending on whose data one uses. By the end of 2017, production really began to plunge, dipping to just 1.7 mb/d in December, according to S&P Global Platts. That is the lowest figure since the 1980s, aside from a brief period in 2003 when a strike knocked output offline. Worryingly for Venezuela, the monthly declines are accelerating. A year ago, monthly declines typically ran somewhere between 10,000 bpd and 30,000 bpd. By the third quarter, those monthly dips ballooned to around 40,000 bpd, month-on-month. But Between November and December, output fell by massive 100,000 bpd, according to S&P Global Platts. 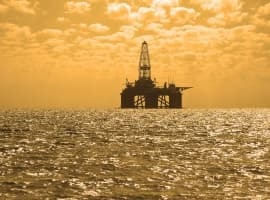 Argus Media says the losses are even larger than that, with production falling by 151,000 bpd in December to 1.686 mb/d. The scary part is that the situation is probably only going to grow worse. Venezuelan President Nicolas Maduro removed the head of PDVSA in November, putting a general in charge at the state-owned oil company. The move was probably made to placate the military, but it also jeopardized the operations of the oil company. S&P Global Platts says that the general in charge, Manuel Quevedo, purged the company of officials at the end of the year. The move, ostensibly to root out corruption, will likely hollow out some of the technical talent that helps keep oil operations running, such as they are. Compounding that problem is labor unrest on the ground. S&P Global Platts says that protests and resignations of refinery personnel are mushrooming because the poor state of PDVSA’s assets are leading staff to worry about safety. "The Venezuelan economy could collapse at any moment," said Torbjorn Kjus, oil market analyst with Norway's DNB Bank, according to S&P Global Platts. "We could envisage scenarios spanning from outright civil war to a state coup, to a general strike or even just one more year of strangulating slow death for the economy. Neither of these outcomes bodes well for Venezuelan oil production." 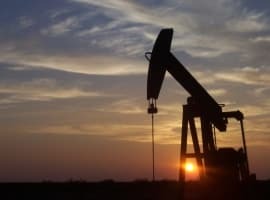 Just about every oil analyst agrees that production will continue to fall at a significant rate, but there is disagreement over the magnitude of decline. The Rapidan Energy Group puts losses at 300,000 to 400,000 bpd in 2018. That’s plausible, but to the extent that projections like these are off, they could vastly understate the declines underway. Ed Morse of Citi says that Venezuela’s production could fall below 1 mb/d, which would essentially be a loss of 700,000 bpd by the end of the year. There are plenty of reasons why these more dire scenarios could play out. More credit defaults are likely. Venezuela is locked out of the bond markets, which means it will have trouble finding cash. PDVSA’s oil and refining assets are in a decrepit state and are only deteriorating. The quality of Venezuela’s oil exports are also worsening, and some refiners around the world are rejecting shipments. The lack of cash means that PDVSA will struggle to import the diluent needed to mix with its heavy oil. And rock bottom morale and increasing worker unrest could cripple operations. The losses from Venezuela, combined with potential outages in Iraq, Libya and Nigeria, could reach 3 mb/d in 2018, Citi said. Who knows what Venezuela's current liquids consumption is, but BP showed total liquids consumption of 0.6 million bpd in 2016. Production (total petroleum liquids) of 2.5 million bpd less consumption (total liquids) of 1.9 million bpd = net exports of 0.6 million bpd (total petroleum liquids). Mexico's 2017 total petroleum liquids production through November was 2.2 million bpd. Assuming no change in consumption, their net exports will have dropped from 0.6 million bpd in 2016 to about 0.3 million bpd in 2017. Note that if we see a similar production decline in 2018, with no material change in consumption, Mexico will be at approximately zero net oil exports by the end of this year. Their last year with net exports of one million bpd or more was 2009.